Details: Stone window trim, pointed arch stone entry, decorative copper scuppers, stop balustrade. Historic Features: Stone trim, decorative stone entry, shed dormers, bay windows. Exterior Alteration Permits: 13MSWK-0178: Add ADA accessible walkway and resurface patio at SE corner of sorority house and new electrical service. 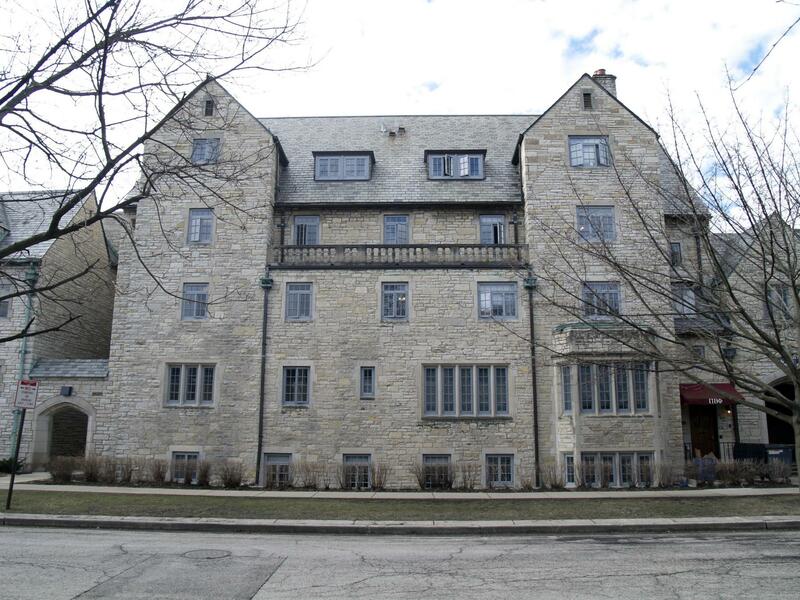 COA Info: 13PRES-0247: Construct ADA accessible means to enter Pi Beta Phi sorority house at 636 Emerson on the interior court yard and at the SE corner of bldg, not visible from the public way.